David Hershey - Pennsylvania - Book a consultation instantly! “I help my clients avoid license suspensions so they can maintain their livelihoods. Anyone with a serious traffic violation should be zealously represented. I have seen too many situations where a lawyer without experience inadvertently enters into a plea bargain on behalf of a client and the client ends up in the unemployment line because they lost their license.” The loss of driving privileges can be devastating. David E. Hershey applies a keen understanding of licensing rules to protect drivers’ rights and help them keep their driver’s licenses and their livelihoods. 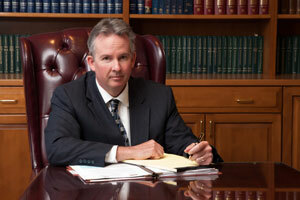 Mr. Hershey has more than 23 years of experience in all areas of traffic law representation. Since 1987, Mr. Hershey has handled in excess of 2,000 traffic cases in South Central Pennsylvania. 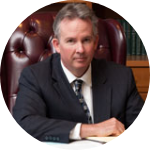 Known throughout the Commonwealth of Pennsylvania as one of the foremost authorities on defending traffic and driver’s license cases, Mr. Hershey is the course planner and presenter of a continuing education seminar for Pennsylvania attorneys on driver licensing issues. He teaches other lawyers about commercial driver license violations and how they differ from state to state. Mr. Hershey routinely represents clients in Penn DOT driver license suspension appeals before the Courts of Common Pleas and in Administrative Hearings before the Department of Transportation. Mr. Hershey’s experience includes jury trials with DUI and Homicide by Vehicle cases, as well as other types of criminal matters. He also handles overweight violations and registration violations for trucking companies and owner operators. 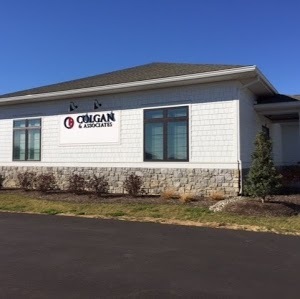 He is also a course instructor for the Minor Judiciary Education Board for the Supreme Court of Pennsylvania, where he has taught the Vehicle Code to Magisterial District Judges throughout the state since 1998. Mr. Hershey has lectured and conducted seminars on DUI and driver licensing topics for numerous organizations and groups. A former Hearing Committee member of the Pennsylvania Supreme Court Disciplinary Board, Mr. Hershey is now available to represent other lawyers facing disciplinary action. Mr. Hershey is a graduate of the University of Toledo (Ohio) School of Law and received his undergraduate degree from the Pennsylvania State University. He began his career as a Deputy District Attorney in Dauphin County, where he served as a special DUI prosecutor and gained experience in the nuances of traffic law. Mr. Hershey is a member of the Pennsylvania, Dauphin County and York County Bar Associations. He is also a member of the Pennsylvania Motor Truck Association.